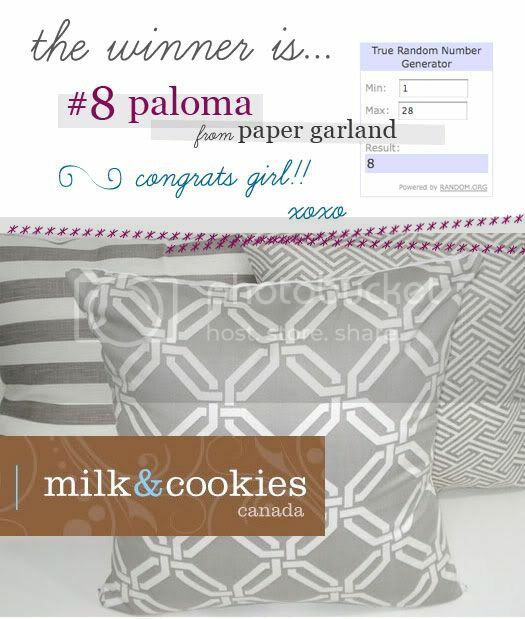 Congrats Paloma! Thanks to all those who entered and thanks to Milk & Cookies Canada for offering such a fun giveaway! !